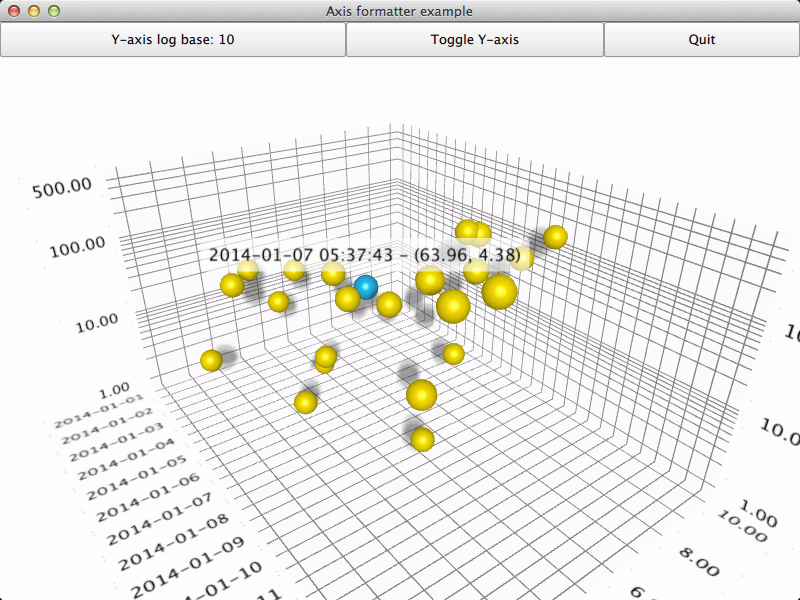 The Qt Quick axis formatter example shows how to use predefined axis formatters and how to create a custom one. The interesting thing about this example is axis formatters, so we'll concentrate on that and skip explaining the basic functionality - for more detailed QML example documentation, see Qt Quick 2 Scatter Example. Rest of the application consists of fairly self-explanatory logic for modifying the axes and showing the graph.